U.S. Air Force Master Sergeant Karen P. Moore says hurricane hunting is a mission to help humanity. Storm chasers are daredevils who are known to live on the edge – and U.S. Air Force Master Sergeant Karen P. Moore might be one of the bravest ones out there, as a hurricane hunter who flies into the eye of the world’s most powerful storms. 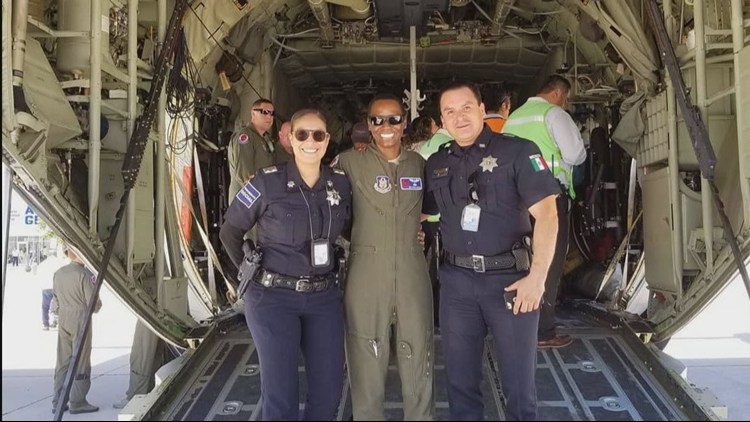 Moore said her mission, which involves dropping instruments into a storm’s eye for the National Hurricane Center from a C1-30 aircraft is not just part of her job – it’s a way to help save humanity. Moore’s Squadron is the world’s only operational weather reconnaissance unit, based at the Keesler Air Force Base in Biloxi, Mississippi. The term “hurricane hunters” was first applied to its missions in 1946. With less than 150 people on the Air Force 53rd Weather Reconnaissance Squadron, Moore said it’s been quite the journey. 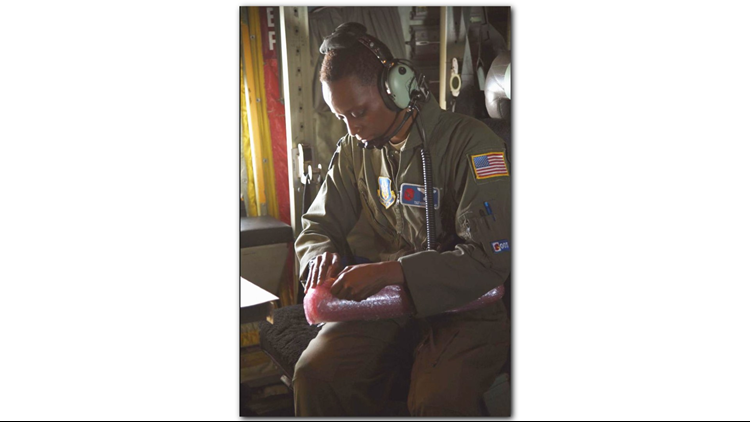 Her motto, especially during Black History Month: “Go for what you want to do against all odds.” Moore has lived that motto every day by opening doors for future hurricane hunters. U.S. Air Force Master Sergeant Karen P. Moore is the world's first African American female hurricane hunter. Moore has always had the ability to see beyond convention. Raised in Norfolk, Virginia as the middle child with two brothers, she learned early how to hold her own. She joined the Junior ROTC program and entered the Marine Corps first. After eight years in, she spent eight years outside of the military and then joined the Air Force Reserves, as an aircraft electrical and environmentalist. Her dream soon transformed into flying planes, instead of fixing them. U.S. Air Force Master Sergeant Karen P. Moore (center) with friends outside an aircraft at the at Keesler Air Force Base in Biloxi, Mississippi. As a hurricane hunter making history in the center of the storm, at 10,000 feet, Moore’s advice to others is to stand ground and never give up. Why is Atlanta considered the mecca of the civil rights movement?